Even the most modern or most technically advanced vehicles cannot be guaranteed to reliable 100% of the time. Help remove some of the stress a breakdown can bring by comparing breakdown cover providers and finding the right cover for your car, at the right price for your budget. This is a list of featured breakdown cover providers. 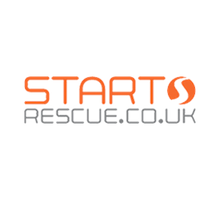 At startrescue.co.uk you’ll find we have some fantastic deals on our car breakdown cover. We can help you avoid the stresses involved if your car breaks down and give you the protection you need out on the roads. startrescue.co.uk is a leading car breakdown cover specialist giving peace of mind to thousands of motorists every year! As well as giving you the protection you need out on the roads, you’ll find we have some of the most competitive prices in the market. You’re sure to find the policy that suits your needs across our five different levels of cheap breakdown cover. There are different features and benefits included in each level of cover, so you can effectively choose a bespoke policy just for you. Breakdown Assist is a trading style of QDOS Insurance Services Limited who are authorised and regulated by the Financial Conduct Authority. We have been trading since 2007 as an Insurance Intermediary. This our entry level policy. If you breakdown more than a mile away from home (anywhere else in the UK) we will be there to assist you as soon as we can. We will spend up to an hour providing Roadside Assistance to get your vehicle moving again. GEM Motoring Assist offers Personal Breakdown Cover which covers the driver in any car. GEM has been voted No. 1 for overall service by Auto Express readers in the Driver Power Survey for the last 3 years. GEM offers one fully comprehensive breakdown recovery service, with two options. Both options are for personal breakdown cover which means we cover you driving any car. RAC will get you back on the road. Fast. And did you know, the RAC can come to your rescue if you have an accident. Existing members can take advantage of great Member Benefits with their car breakdown cover. RAC Breakdown Cover with FREE Onward Travel and Key Replace. We will fix your vehicle at the roadside, as long as you are over ¼ mile away from home. Includes a 10 mile tow to a destination of your choice, local garage or a place of safety if your car cannot be fixed at the roadside. QDOS Rescue Services is an emerging force in the motor breakdown and vehicle recovery market. We are a trading style of QDOS Insurance Services, who has operated as an insurance intermediary since 2007. Our basic UK cover includes Roadside Assistance and Local Recovery and you can add Home Start and National Recovery. These policies are available to cover people or to cover vehicles, and you can purchase a dual vehicle or joint person policy. With the Environmental Transport Association, you get excellent cover and help build a sustainable future for all. We have supported vital environmental projects in Britain and throughout the world for over 25 years. Award winning breakdown cover from Britains most ethical insurer. Our Annual Vehicle Breakdown Insurance covers you for 365 days a year. We can also cover you for a single trip in Europe for up to 31 days. For cars up to 10 years old, Transport for up to 6 people, Key assist (lost or broken), As low as £4.58 per month. 24/7 English-speaking helpline, alternative accommodation and travel arrangements, recovery of your vehicle back to the UK, and up to £50,000 in legal costs. Driving in Europe? No worries. We partner with over 40,000 trusted garages in 44 countries across the Continent – so all you have to do is relax. Our cars all come in different shapes and sizes, and we are well aware at AutoAid that our clients requirements often differ too. That’s why AutoAid policies cover the driver named on the policy, along with any legal spouse, for whichever vehicle they are legally driving when they require Roadside Assistance. Drive happy with one of the UK’s fastest growing breakdown specialists, 94% customer satisfaction. One of the biggest concerns for motorists or car owners on the road today can be the dangers involved with breaking down in the middle of a journey. Not only is it extremely stressful and inconvenient, but it could end up costing you a lot of money if your car is immobile and you need to get help from a mechanic at a local garage. Car breakdown cover can help you in this situation. Buying breakdown cover can be equally as difficult and stressful as any other insurance. There are certain features you need to carefully consider as in the event of breakdown, you don’t want to be left stranded because your policy doesn’t cover you. With so many providers and policies available, buying the right cover for you can be really confusing, Supacompare will highlight a few areas of focus for you, so when you buy your breakdown cover you will know exactly what to look for to buy the best policy at the best price. It will be worthwhile checking with your car insurance provider to see if you have vehicle breakdown as an extra on your policy. Sometimes when purchasing car insurance you also select breakdown cover as an extra but as you’ve never needed it, you’ve forgot it’s there, so check this first. If you do end up having breakdown cover with your car insurance policy, double check exactly what you are covered for, this will then help you make a decision to whether buy a policy elsewhere which will cover you for exactly what you are looking for. Vehicle & Personal Cover You will need to decide what sort of cover you want. There are two types of cover available for you to buy, Vehicle Cover and Personal Cover of which you can choose to buy either of the two or then buy both. You will find some breakdown cover providers will offer on one of the two and some will offer both. Vehicle cover usually covers you for breakdown on a particular vehicle regardless of who’s driving it. This is usually the cheaper option of the two if you only wish to be covered for the vehicle only. Personal cover however covers you for breaking down in any vehicle even if you’re a passenger in someone else’s vehicle. This type of policy comes in handy if you drive multiple cards or then even travel with other people. Make sure you are fully aware of the two types of cover before buying your policy to avoid any disappointment in the event of a breakdown. Once you have decided on the type of cover is needed, the next step is to decide what level of cover you would need as each policy offers different levels of cover. Each level of cover on a policy has a priced associated to it, so be sure to select level of cover which you know you will need and not pay any extra cost for something which you will not need. See below the level of cover available with breakdown cover providers. Roadside Assistance – usually covers you for assistance by the road when broken down or then yourvehicle towed to your local garage if the mechanic is unable to fix. Vehicle Recovery –usually includes roadside assistance as standard however if your vehicle is unable to get fixed by the roadside you and your passengers will be transported to your destination. Homestart - usually covers a breakdown if it is at home or on the road, recovery of your vehicle may also be counted in. Onward Travel –usually covers you for all of the above and also any accommodation and car hire until your vehicle repair is complete. Now that you are aware of the levels of cover make sure you enquire thoroughly about all the levels of cover the provider if offering before deciding which one to go for. The questions don’t end there, if there is anything you wish to know just ask breakdown cover provider, after all you want to be sure it is the right cover and provider for you. Once you have taken everything in to account, it will make your decision a little easier as to which provider to go with, which policy suits you best and of course the best price!